Audi has given us a first look at the front end of the 2019 R8. 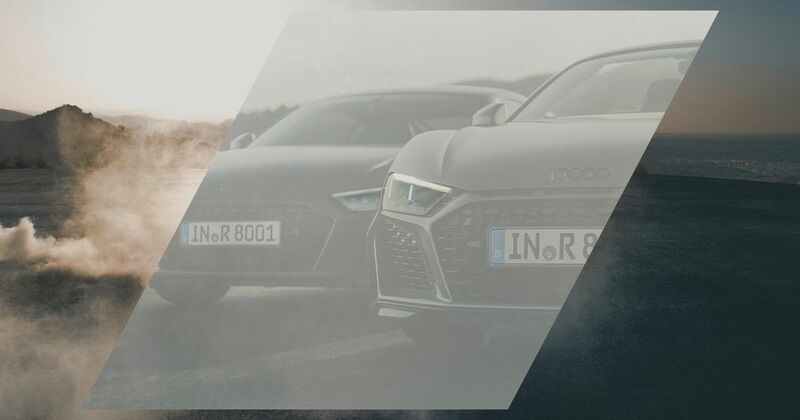 Audi Sport posted a Tweet showing a rhomboid crop of two new R8s side by side, and between them we can see enough to form some conclusions. 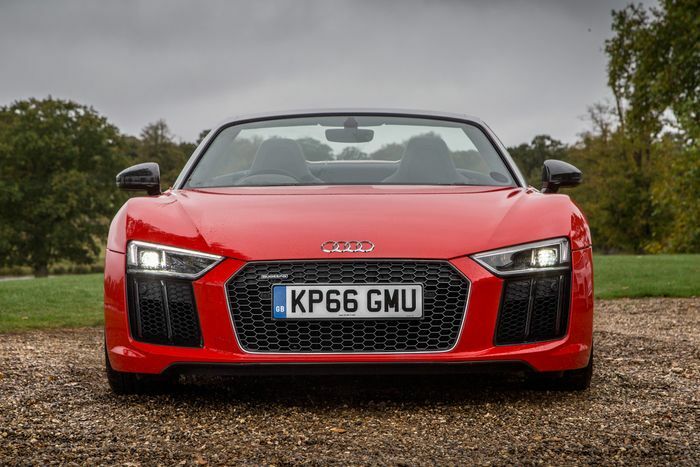 The four-ringed Audi badge still sits low on the bonnet, which itself has aggressive ridges towards its outer edges. The bumper is even sharper, though, with fierce angles around the protruding edge of the grille. It’s like it’s sticking its lips out to better hoover-up the air in front of it. Big vents at the lower front corners may help channel air into the wheel arches to help cool the brakes. The vent surrounds have noticeably more kinked outer edges, pushing angles out sidewards to increase the presence of a front end that doesn’t exactly go unnoticed as it is. The styling clearly follows the surprisingly feisty A1’s lead, suggesting that these sharp-edged demands on your attention may constitute the styling direction Audi is pursuing with all of its cars now. Meanwhile, it remains to be seen whether Audi builds a direct R8 successor or side-steps to an electric future. Or both, perhaps?